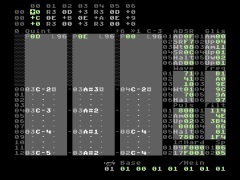 Hein has released an update for his music tool for the Commodore C64. The features are: Main editor: sequencer, patterns, instruments, step and FLO programs. Jam mode: mono, poly or layered. Selection of instruments, song, octave or song speed and a diskette menu.